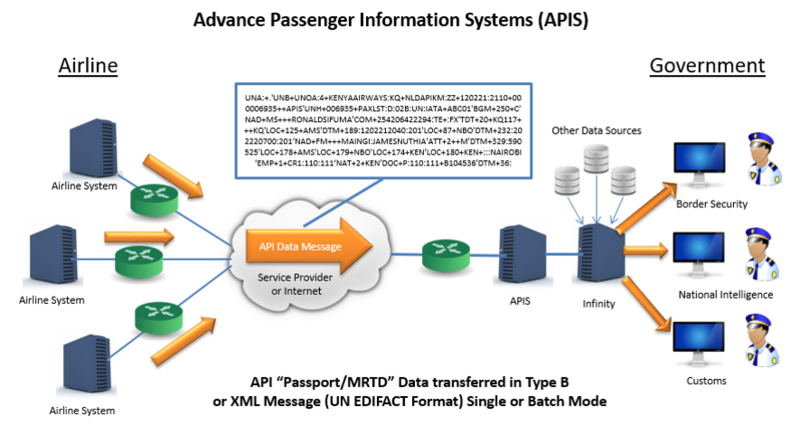 The Infinity Passenger Module is designed to receive and analyse Advanced Passenger Information (API), Interactive Advanced Passenger Information (iAPI) and Passenger Name Records (PNR) data. 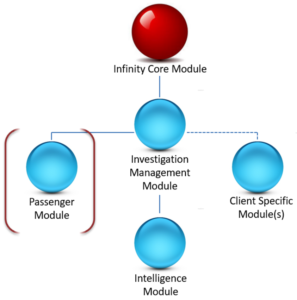 Where necessary, Infinity validates and de-duplicates passenger records as they arrive and correlates each individual passenger with the corresponding flight and data in the Investigation Management Module. Passenger data attributes can be used by Infinity to reveal hidden linkages between passengers. These discovered linkages can be graphically presented in the Infinity Investigation Management Module via the Entity Relation Diagramming service.